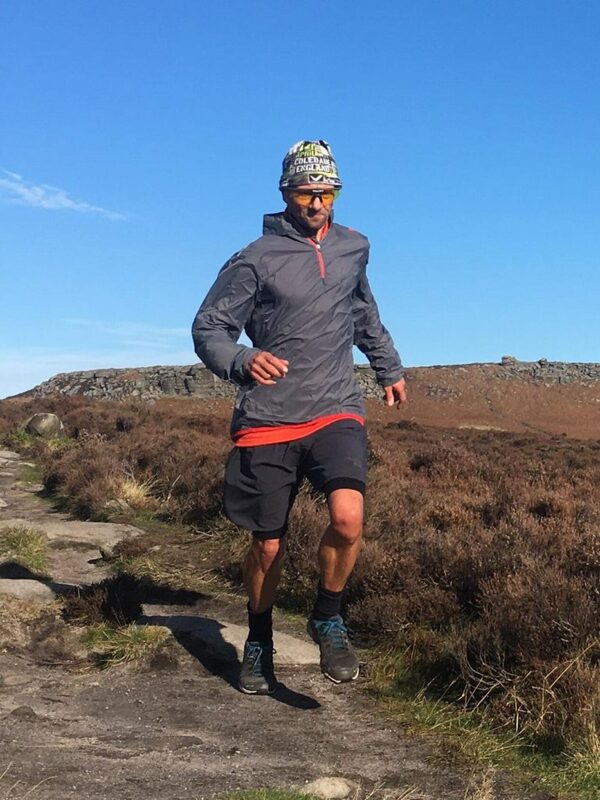 Mud and Blood trail running clothing is designed and developed in North Yorkshire. 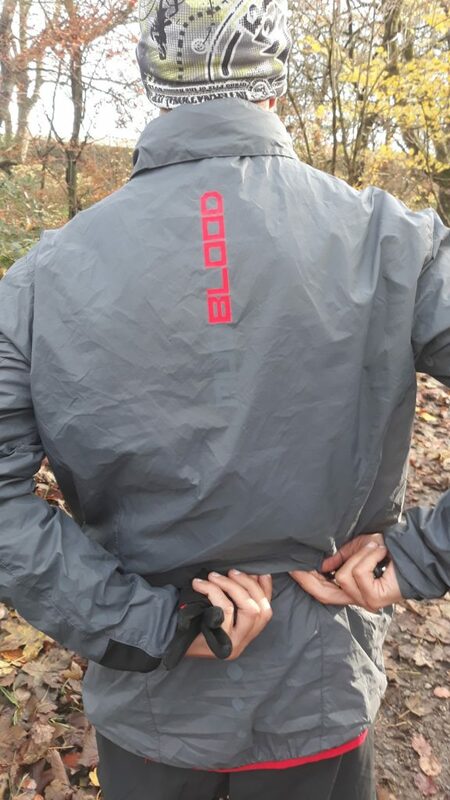 In a market dominated by international brands I was interested to hear about Mud and Blood and put some of their products to the test and the cool autumn conditions were ideal for trying out their windproof jacket. Made of ripstop nylon with a durable water repellent coating the smock style jacket is very lightweight (my size Small weighed exactly 100g) and packs neatly into its own zipped pocket. 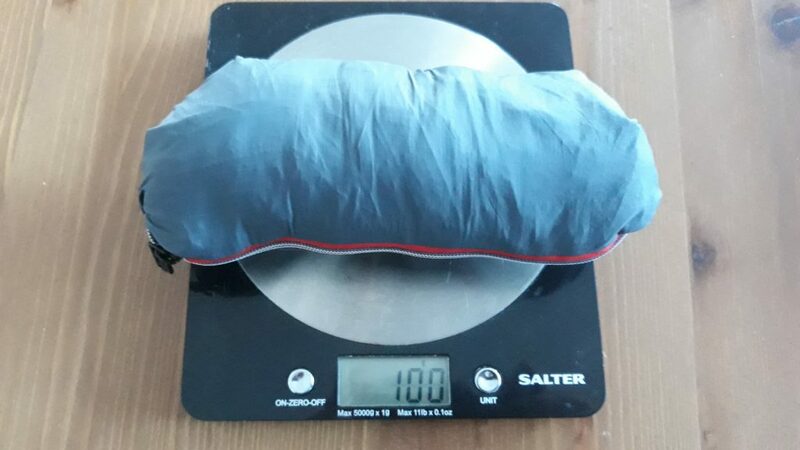 This makes it easy to store and it takes up little room in a bumbag or running pack. Features include a fold away hood which fits into the collar and is secured with velcro, a two way zip, elasticated cuffs with thumb holes and a rear zipped pocket. I wore the jacket for most of my runs over a two week period in both dry and showery conditions. I liked the fit (although fit is always subjective depending on your body shape), style and colour scheme; an understated grey with red trim (also available in neon yellow or white). 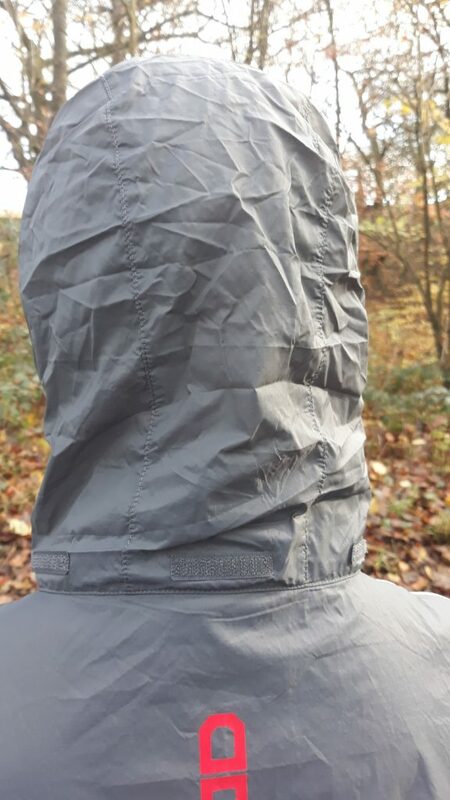 The hood is a basic design and can’t be tensioned or adjusted in any way and so tends to blow down if you’re running into the wind, a problem I’ve found with several more expensive jackets. The thumb loops allow you to pull the cuffs down and prevents the sleeves from riding up and so helps to keep your wrists warm. The jacket didn’t feel as breathable as some other windproofs that I’ve used and there was a bit of moisture build up on the inside during a couple of runs. Having said that the DWR coating did help prevent me getting wet during a couple of short, sharp showers although I would always choose a fully waterproof jacket in heavy rain. The thing I found least useful on the jacket was the rear pocket which is situated on the lower back like you would find on a cycling top. 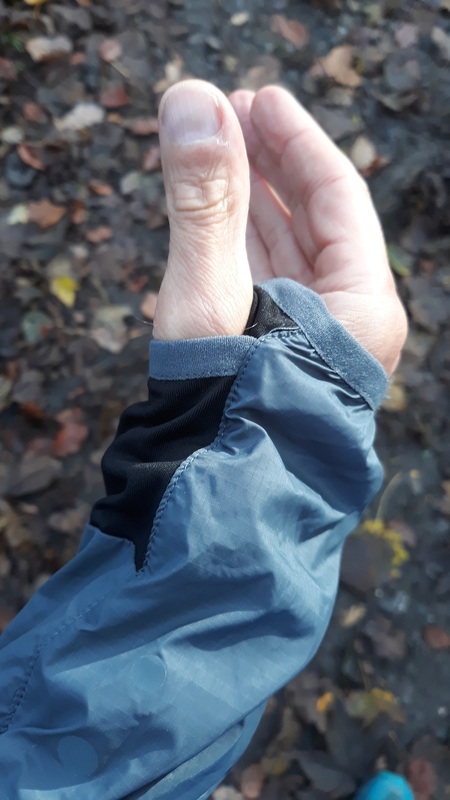 This made it fiddly to unzip whilst wearing it and I found that I had to stop completely when I tried to put my gloves away mid run as it was impossible to reach behind me and unzip whilst on the move. It you only intend to use the pocket for your car keys this isn’t a problem but it isn’t very useful for gloves, map, compass, gel etc that you might want to access during your run. Also the shape of the pocket is quite shallow (think mobile phone shape) and so it doesn’t hold much. I think a much better design would be to have the pocket on the breast. At RRP £40 the jacket is cheaper than several of the more well known brands and so offers good value for money. Neat, lightweight and affordable. Pity the zip isn’t on the front. Posted in Clothing, Equipment, Reviews and tagged Mud and Blood, windproof.